You'll find plenty of places to visit near Perth: Fremantle (Western Australian Maritime Museum, Fremantle Markets, & more), Caversham Wildlife Park (in Whiteman) and Dolphin & Whale Watching (in Mandurah). Dedicate the 3rd (Mon) to wine at some of the top wineries in the area. 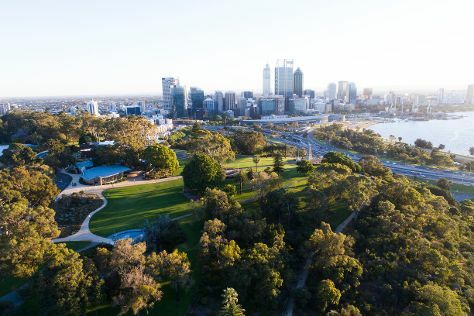 Next up on the itinerary: take in nature's colorful creations at Kings Park & Botanic Garden, get to know the resident critters at Perth Zoo, steep yourself in history at The Perth Mint, and take in the views from Elizabeth Quay. Planning Perth trip won't be overwheling when you use's Insprock itinerary maker. If you are flying in from Malaysia, the closest major airport is Perth International Airport. In June in Perth, expect temperatures between 23°C during the day and 9°C at night. Finish your sightseeing early on the 8th (Sat) so you can travel back home.